At City Centre Rooms Edinburgh our concept is simple. 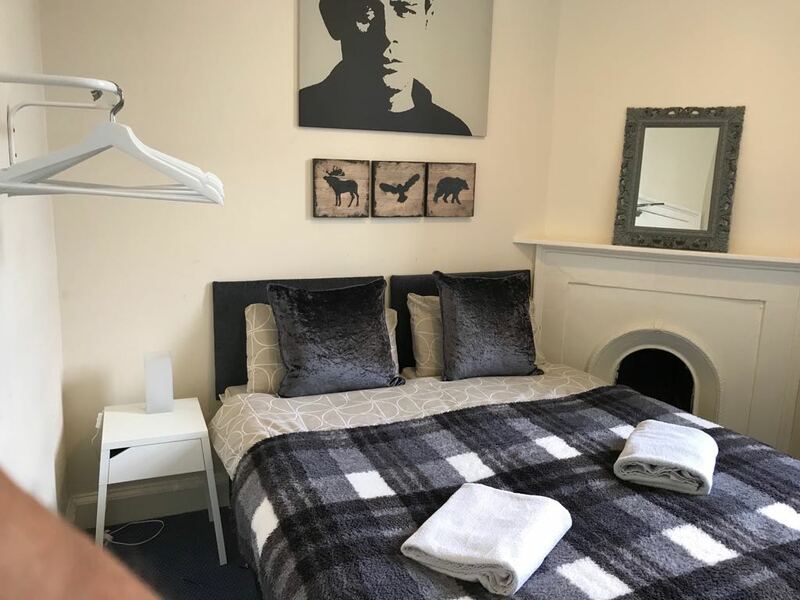 We offer clean, functional rooms in great city centre locations at budget prices. Most rooms have great facilities such as en suite private bathroom, Freeview Television, Tea & coffee and Free WIFI. 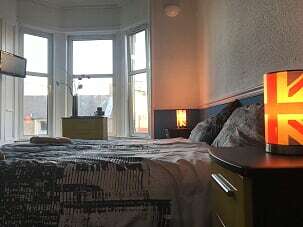 We have 3 great city centre Rooms properties in Edinburgh. Whether you are looking for a private room for the night or an exclusive use rental for your group. We would love to host you in Edinburgh. Our properties are very popular with groups of all sizes. We offer groups of 20 – 55 Persons exclusive use rental of our properties. 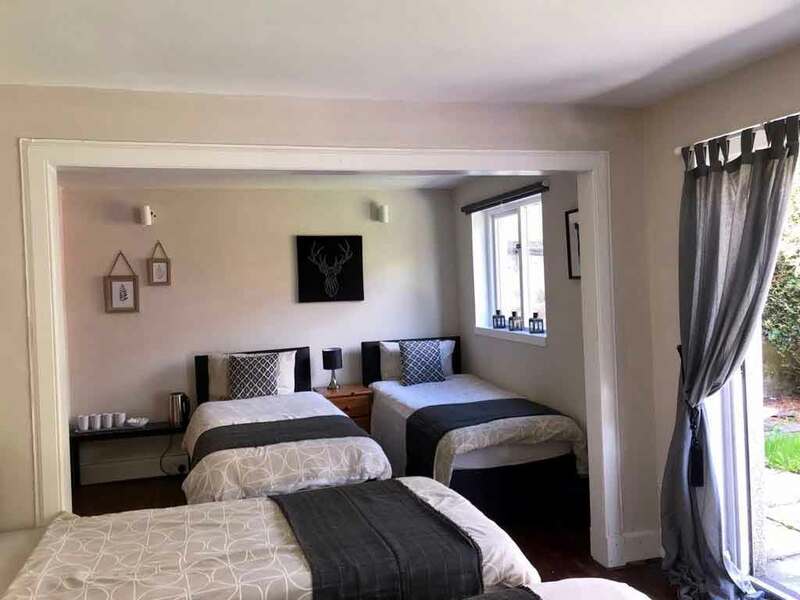 We have 2 side by side properties in the heart of the city on Gilmore Place which can accommodate groups of up to 54 persons in 19 private rooms. 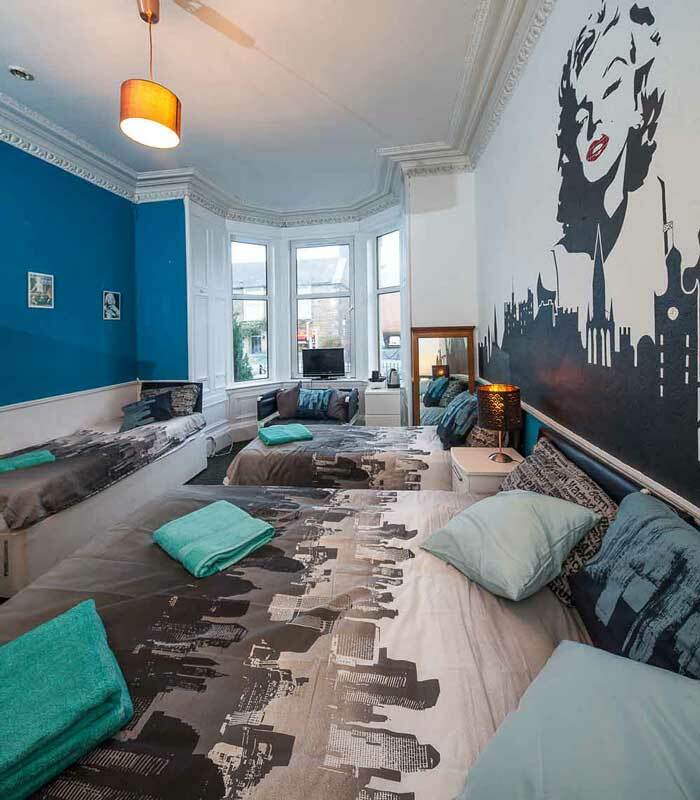 Our Marilyn room features some wonderful custom art of Marilyn and the wonderful Edinburgh skyline. 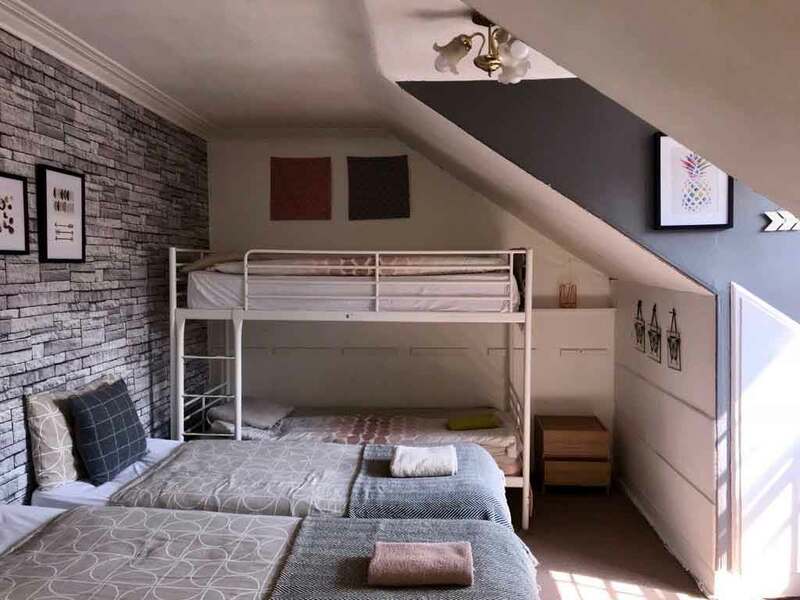 This is a very unique room which sleeps 4/5 Persons all in separate beds. Bright and spacious room at back of property with small en suite bathroom. Bright and spacious room at front of property with en suite bathroom. Bright and spacious room at back of property. 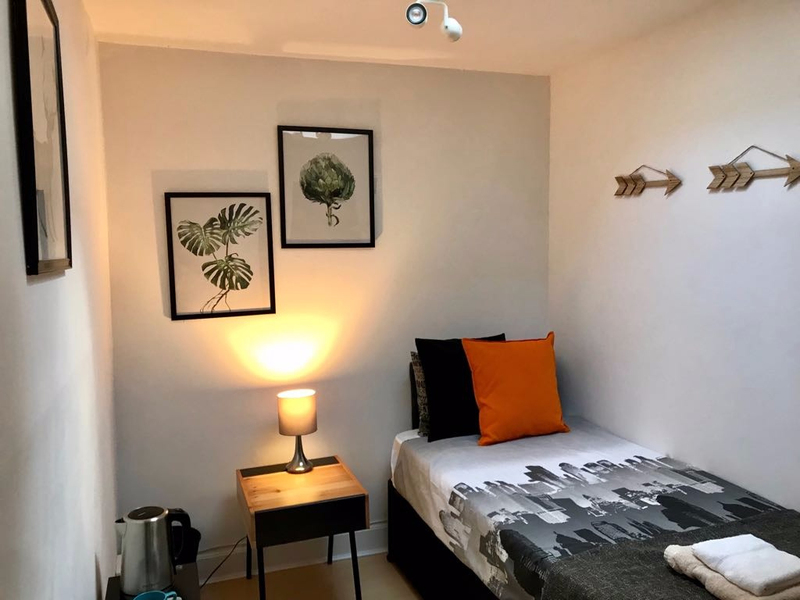 Spacious, bright newly refurbished room sleeping 5 persons in Twin Beds. This room and the adjoining Single and Twin can also be booked together as a private 3 bedroom suite. 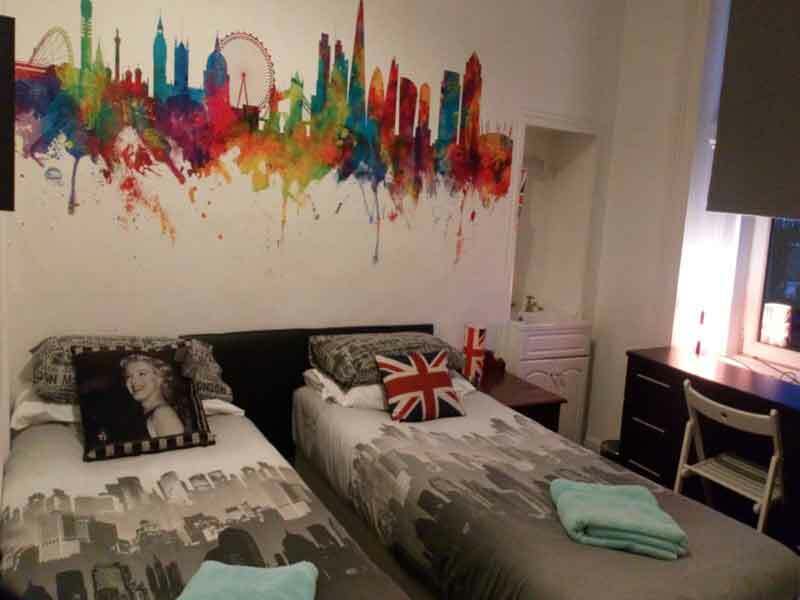 Spacious, bright newly refurbished room sleeping 5 persons in Twin Beds. This room and the adjoining Single and Twin can also be booked as a private 3 bedroom suite. 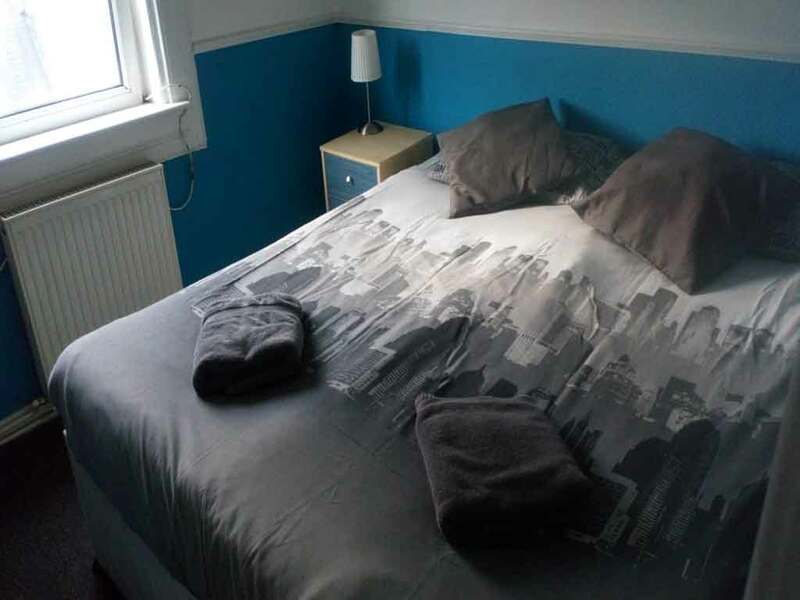 Bright and Spacious 4 Person Room overlooking front of building. SIngle Room in basement of property with Skylight but no window. This room can be booked along with the 5 Bed Room and Twin to make private 8 Person suite. 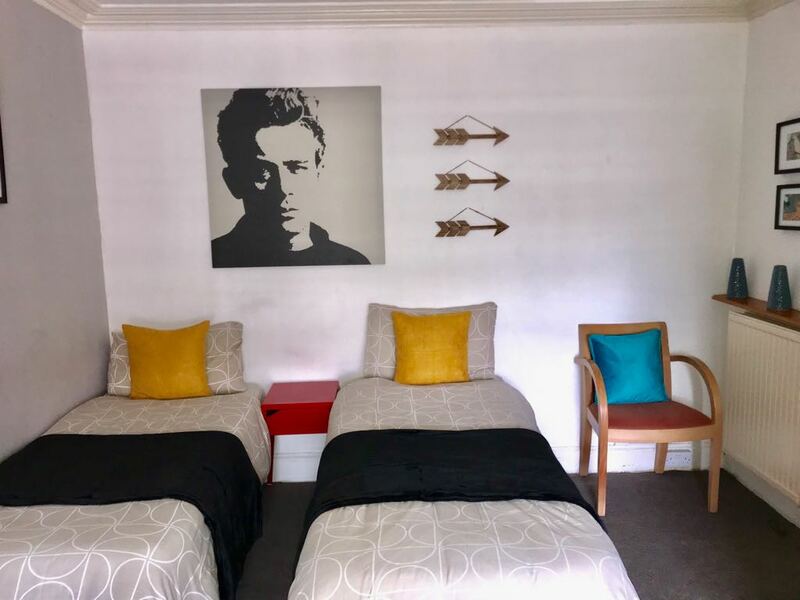 Bright and Spacious 2 Person Room overlooking front of building. 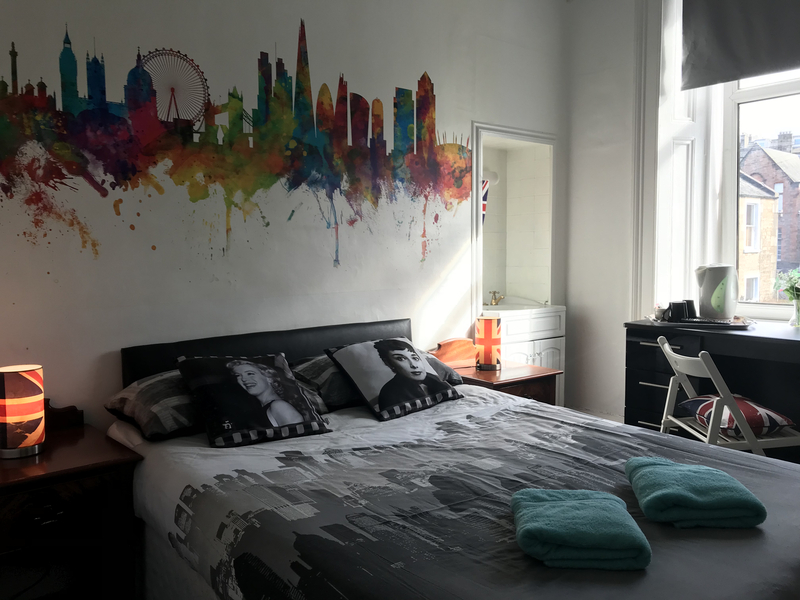 Bright and Spacious 2 Person Room overlooking side of building. We offer a continental breakfast each morning in our Kingsview Breakfast Room. The breakfast normally includes fresh pastries, cereals, Toast, Fruit, Orange Juice and Tea and Coffee. We offer free unlimited coffee each morning in our Breakfast Room. We do not offer dinner at our properties. We do have a nearby restaurant where we can arrange meals for groups of more than 6 Persons. We on;y have 1 secure parking spot available. Its is available of first come basis. Cost is £10 per day. All rooms have Television and tea and coffee making facilities. Check in is available from 3-9pm each day. After 9pm a late arrival fee of £10 will be charged on all arrivals. Check out is from 10am on the morning of your departure. Additional time in the room is subject to availability and a Fee of £20 for up to 2 Hours. Cancellation policy is on your confirmation notice. If you booked on a non refundable rate we would not be able to arrange a refund. Please be courteous to all guests. We Have Vacancy for your Group! Book an entire City Rooms property or enough rooms to bring your group to Edinburgh. We Love Groups.